Dr. David Lange feels that cosmetic surgery should be natural in appearance as it enhances the beauty of the patient. He is a caring and artistic plastic surgeon in Florham Park, NJ, who is extensively trained in both cosmetic and reconstructive surgery. Certified by the American Board of Plastic Surgery and a Fellow of the American College of Surgeons, Dr. Lange specializes in cosmetic surgery of the breast, body and face. Dr. Lange’s areas of expertise include facelift, brow lift, neck lift, eyelid surgery, lip augmentation, facial contouring, and facial augmentation. Dr. Lange’s most requested cosmetic procedures for the body are breast augmentation, liposuction, breast lift, breast reduction, and tummy tuck surgery. Time and attention is taken during all consultations so that individual questions and concerns can be appropriately addressed. 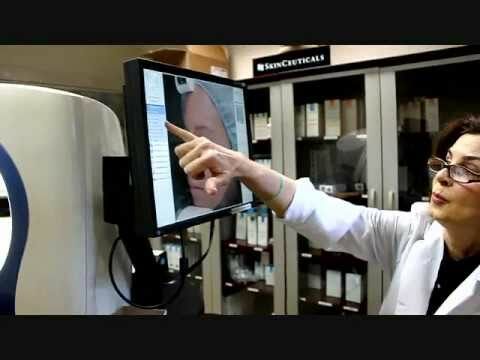 Dr. Lange reveals potential results to clients by reviewing before and after plastic surgery photographs and utilizing hi-tech computer imaging. A graduate of New York University and the Universidad Autónoma de Guadalajara (UAG) Medical School, Dr. Lange has distinguished himself with five years of training in general surgery at St. Barnabas Medical Center followed by a plastic surgery residency at St. Louis University. He then completed his cosmetic training with renowned plastic surgeon, Dr. Robby Meijer. Dr. Lange was drawn to plastic surgery during his general surgery training, where he was introduced to reconstructive surgery. He feels that plastic and reconstructive surgery has an enormously beneficial impact people’s lives, alleviating their suffering and insecurities while improving their quality of life. Dr. Lange is very active in humanitarian and charitable organizations in northern New Jersey and abroad, giving children with birth defects a chance for normal lives. One of his passions is helping infants and children born with facial birth defects, such as cleft lips, cleft palates, ear deformities, and other facial abnormalities, by performing plastic surgery procedures to provide the children with life-changing transformations. Dr. Lange has been on the team of physicians at the St. Barnabas Regional Craniofacial Center in Livingston, New Jersey since he began his practice with The Peer Group. He has also participated in many trips to foreign countries to help children and families in need of reconstructive plastic surgery. El Salvador was the first and one of the most memorable of his trips. His team was able to help 136 patients over a week’s time. He has also traveled to Guatemala, Mexico, Costa Rica, Panama, Bosnia, Thailand, Peru and the Philippines. Outside of his busy plastic surgery practice, Dr. Lange enjoys the outdoors, most notably biking, hiking, mountain climbing, camping, and skiing (which is his favorite). Exercise and fitness are an important part of Dr. Lange’s daily routine, and as an active lifestyle proponent, he has shared this interest with many of his patients, incorporating its benefits into their post-surgery regimen to help them transform not only their bodies, but also their lives. Dr. Lange has served as the chairman of the Department of Plastic Surgery at St. Barnabas Medical Center in Livingston, New Jersey, and is an accredited member of many top-tier professional associations, including American Society of Aesthetic Surgeons, American Society of Plastic Surgeons, New Jersey Society of Plastic Surgeons, American Medical Association, and he is a Fellow of the American College of Surgeons. Dr. Lange does not participate in any commercial insurance plans. Traditional Medicare is the only Medicare plan in which he participates. Dr. David Lange is a board-certified plastic surgeon and a specialist in cosmetic and reconstructive surgery at The Peer Group for Plastic Surgery.